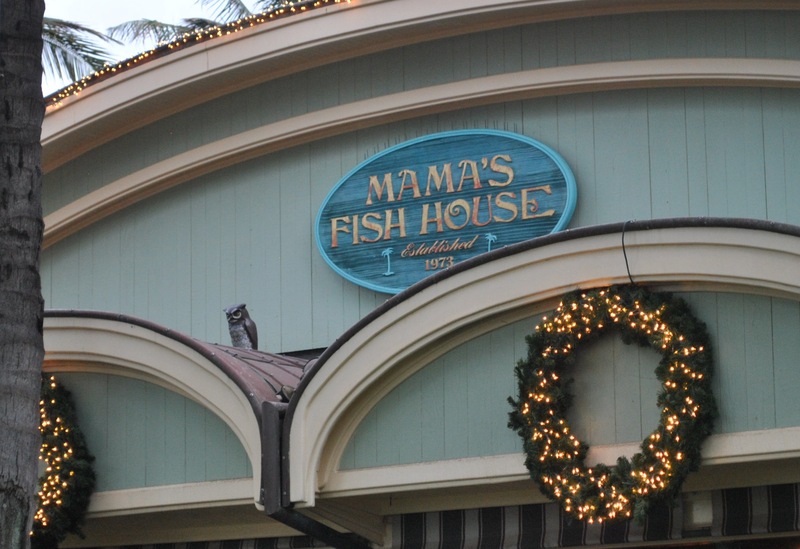 There’s no shortage of authentic, local flavor at Mama’s Fish House, located in Kuau Cove on Maui’s north shore. We recently returned to this magical place for 10 days, celebrating the holidays and our 20th wedding anniversary. 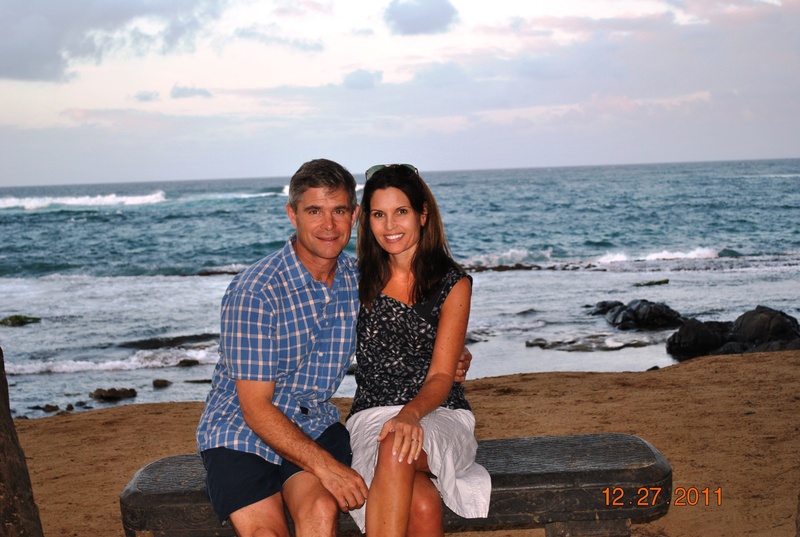 Admittedly crowded, Maui is not my favorite island, but it was the perfect getaway with two teenagers and to remember our honeymoon there in 1991. 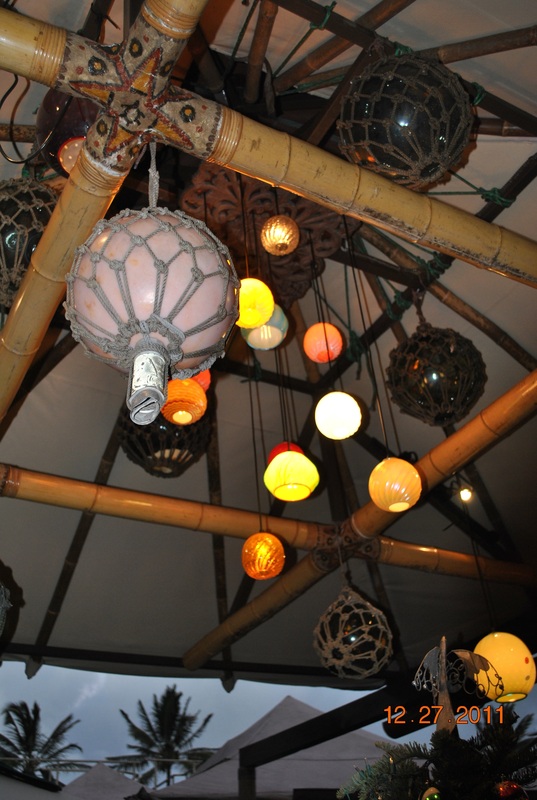 Live music, lots of buzz and Mama’s make it more of a party than some of Hawaii’s more secluded places. My daughter Sarah decided the place was cool only after we spotted Zack Braff, Donald Adeosun Faison, and their girlfriends waiting for the table ahead of us. You know you’re in a place that appreciates fresh and local food when the menu is printed daily and reads: “Wild Fish Caught by our Fishermen.” With descriptions like “Opah caught in local waters by Sergio Barra on the Queen Diamond II” and “Opakapaka caught by Layne Nakagawa bottom fishing in sheltered waters near Lana’i” my local foodie radar was screaming. The waiter started us off with small ramekins of creamy asparagus soup, followed by warm bread and caesar salads. I ordered the Opah, “Upcountry style” with carmelized Maui onions, bok choy and jasmine rice. Delicious. Joe had the deep-water ahi, seared with peppercorns and served with Hamakua mushroom sauce, also amazing. Maybe it’s the venue – stunning views and the natural high of being on vacation but every time I’ve been here, I loved it. The first time was as a teenager with my parents and my memories are just as fond. If you’re ever on Maui, make it a priority. Mama's overlooks a light-filled cove on Maui's north shore.